Home Made Beauty Tips Health Why Rest Was Important? 1. Lack of sleep makes you fatter. In a study of the Nurses Health Study examined as many as 70 026 women to indicate whether there is a correlation between inadequate or lack of sleep with weight gain or obesity in the future. The authors suggested that lack of sleep can affect the ability to burn calories and increase the risk of weight gain. In fact, they reported that the women who get enough sleep 7 to 8 hours per night had the lowest risk of weight gain. Conversely, those who slept less than 7 hours per night tend to be fatter. 2. Lack of sleep makes you eat a lot of carbs and snacks. In a revealing study, scientists at the University of Chicago asked some people to sleep 5.5 hours a night, and 8.5 hours a night on the other, then they measured how much they ate snacks the next day. The results for 2 weeks, the average participant who has 221 more calories than those who get enough sleep In another study also says that adults (young age) that lack of sleep will increase appetite in high carbohydrate-containing foods. It is as if the brain leads to a lot of foods that contain carbohydrates. In addition, the lack of sleep will involve you in the activities of excessive snacking snacks. 3. Lack of Sleep Increases Risk of Diabetes and Inflammation. Lack of sleep can cause inflammation in the blood and increase hunger. Studies have shown that inflammation provoked by certain immune cells and type 2 diabetes. Type 2 diabetes is directly related to obesity and is a worldwide epidemic. 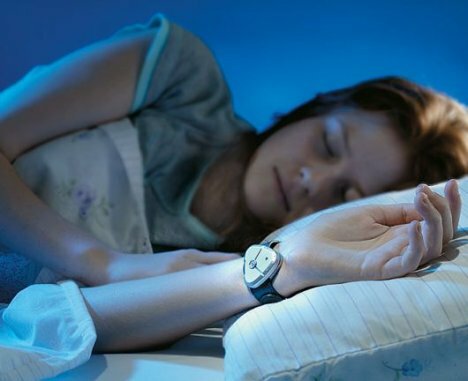 There is growing evidence that people who sleep less than seven hours a night have a higher risk of diabetes. Researchers at the University of Chicago found that a loss of 3 to 4 hours of normal sleep for a few days is enough to trigger metabolic changes that are consistent with the prediabetic state. They stated that when limited to 4 hours of sleep each night for 6 nights in a row, the ability of the body to keep blood sugar at a consistent level will drop significantly, which increases the risk of type 2 diabetes. 4. Lack of Sleep Cause High Blood Pressure. The study reported an association between high blood pressure and lack of sleep. When people sleep less, whether it's from lack of sleep quantity or poor quality sleep, will increase the burden on the performance of the heart. Here's why: When you're awake, your heart pump faster to circulate blood around. During sleep, your body is not a lot of blood flow, thus slowing down the heart rate and the heart gets a much-needed break. Without adequate rest periods, the heart muscle will be tired. Because your heart has to work harder, causing an increase in blood pressure or perhaps thickening of heart muscle, which can lead to more serious heart problems. 5. Lack of Sleep Causes Metabolic Disorders. In one study showed that workers with shift systems that have irregular sleeping metabolic disorders associated with insulin resistance. Insulin, a hormone released by the pancreas, regulate carbohydrate metabolism and regulate blood sugar levels. Metabolic syndrome, a form of resistance to insulin, occurs when the body becomes less responsive to insulin action. With the existence of this metabolic disorder, your blood sugar level to rise although high blood pressure and type 2 diabetes can occur.